Located in Dueville, Vicenza, Italy, Cicli Basso founded in 1977 by two brothers, Renato Basso (born 1947) and Alcide Basso (born 1954). Their older brother, one of the best sprinters of his generation and 1972 UCI World Champion, Marino Basso (born 1945) lent his experience to the young company which his two younger brothers had just created, after retiring in 1978, when he was 33 year old. Alcide Basso was also a racing cyclist, but his mechanical skills were superior. Renato Basso graduated from the University of Tubingen in Germany in 1974 with a degree in philosophy and political science and did postgraduate work in philosophy at the University of Padua, but he is also a cycling fan. Basso Diamante SV is designed for the aerodynamic position lovers. The air penetration is improved by designing new tube shapes, and reactivity by making a straight blade front fork. The new new system is applied with double pivot brake fixing. The bike introduces the “3B-BASSO” (patented) clamp system. The seat clamping is totally masked and invisible on the frame. Not only nice to look at but also technically innovative.Getting way ahead of the usual clamp-ring/screw holding the seat post, or the extra bulking knot on the frame to house the seat screw; The 3B-BASSO (pat.) triple point fixing becomes a solid structure between seat-post and seat-tube. This system is slim, invisible and strong. In addition to all of this the extra rubber gusset in connection with the 3B-BASSO (pat.) has an anti vibration function which anyone can appreciate on rough surface roads. 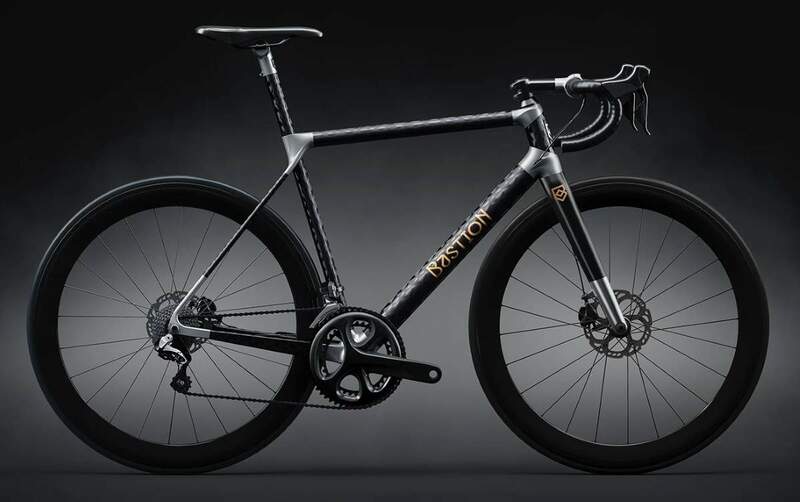 Bastion Cycles’ standard lead time is six to eight weeks – which is significantly faster than other custom frame builders. Bastion Road Disc: With complete builds as light as 6.5 kg, the Bastion Road Disc represents one of the lightest bikes in its class. The torsional stiffness and stability of Carbon Fibre. The ride comfort of Titanium. Disc brakes. Electronic Shifting. Internal routing. Hidden control boxes. Tyre clearance up to 700c-28. Completely custom geometry. 3 stiffness options. Semi-standard and custom paint. The brand is created by Giovanni Battaglin, the legendary Italian cyclist who won the Giro d’Italia and Vuelta a España in the same year (1981). It is located in Vicenza, Italy. Baum is located in North Shore, Victoria. 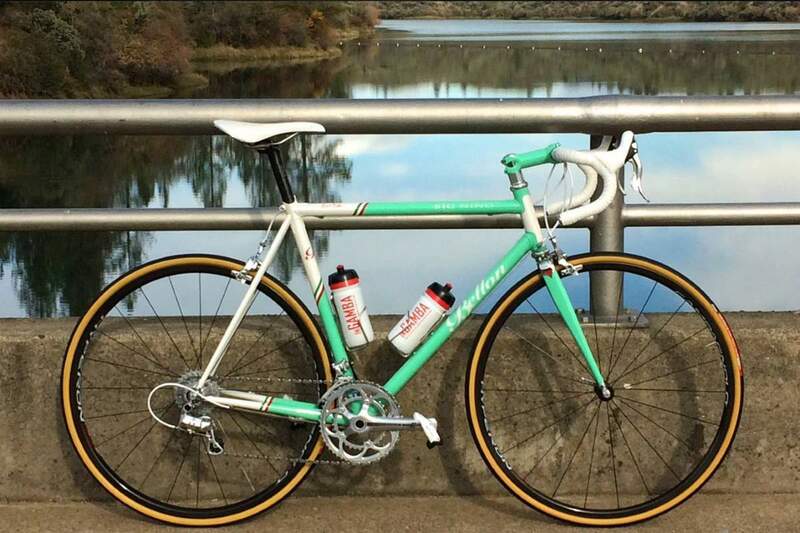 The brand is founded by Darren Baum, who trained and worked as a certified aircraft engineer and stainless steel TIG welder before becoming a frame builder. His cycling career began as an A grade rider before a car accident in 1990 sparked a long-term interest in how biomechanics and bike design can be used to increase performance. He is mentored by master frame-builder Brian Cross. In 1996, the first frames sold on a commercial basis under the Baum name. In 2003, he begun taking international orders. In his 2009 book, Close to Flying, the only Australian winner of the Tour de France (2011), Cadel Evans thanked to Darren Baum, for his work with him. In 2014, he won the Best Road Bike award with Baum Corretto at BUKHBS 2014 (Bespoked UK Handmade Bicycle Show). Baum Corretto Ti – “one of very few titanium frames in the world with every tube butted with an individual rider in mind”. The Corretto is Baum’s attempt to do away with the usual cycling dichotomies of weight and longevity, acceleration and road feel. Feather light and tough enough for years of hard use, the Corretto’s is as smooth as it is capable. Custom fit geometry, CWSR Grade 9 certified tubing (every tube is butted in-house to rider requirements), CNC butted and relieved BB shell, internally relieved head tube, scalloped and bi-ovalised chainstays, Bespoke relieved 6/4 Ti dropouts, 3T Funda Team forks, Chris King headset or Tune Bobo headset, 130mm spacing, 68mm bottom bracket shell (English thread). Located in Red Bluff, California, United States, Bellon Bikes is founded by Claudio Bellon. He was born and raised in San Andrea OM, Castelfranco, Italy, Claudio Bellon grew up around cycling and started racing in his teens. Then he moved to North California in 1989. Located in Philadelphia, Pennsylvania, United States, Bilenky Cycle Works is founded by Stephen Bilenky. He has been in the bike industry for 44 years, and began frame building in 1983. Bilenky Cycle Works won Best Road Bike (2010), Best Lugged Bike (2011), and Best Lugged Frame (2013) at NAHBS (North American Handmade Bicycle Show). The build all kind of bicycles (road, cyclo-x, touring, mtb…). Bixxis was found in 2015 by Doriano De Rosa and his daughter Martina. Doriano is the son of legendary framebuilder Ugo De Rosa, founder of the De Rosa bicycles. At only 14 years of age, he started working in the workshop of his father. Ugo De Rosa’s guidance along with daily encounters and exchange of ideas with cycling pros of that time taught Doriano to interpret right away needs and desires of the cyclist he was talking to. In the following decade new materials take center stage, just like titanium, which had become the metal that Doriano De Rosa started feeling as “his own”. He embarked on a personal adventure of study and research, to go beyond all that he had already learned so far. Bixxis products are entirely hand-made. Each Bixxis frame is 100% made in Italy, at their Seregno workshop, just few miles north of Milan, Italy. 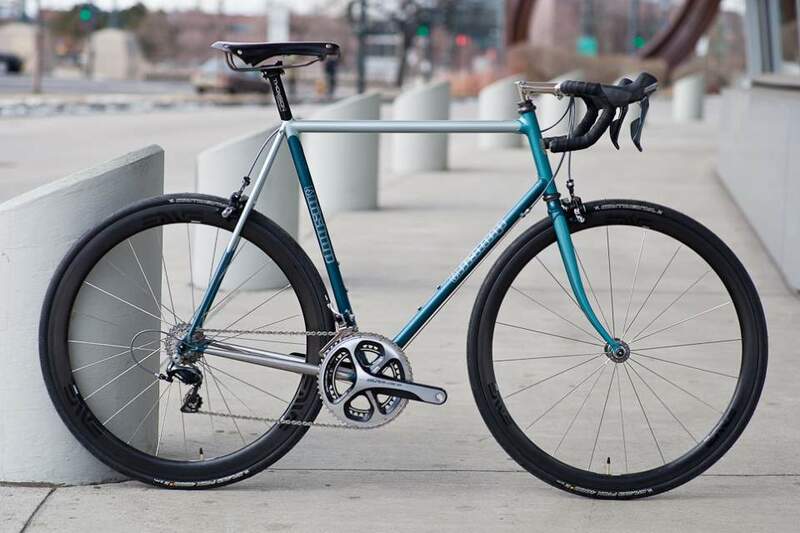 Bixxis Prima – Steel frame (Columbus Spirit tubeset), TIG welding, one-piece CNC-machined dropouts, customized geometry available both in regular and slope versions, Italian thread 70mm bottom bracket, 29,4mm seatpost diameter, 32mm derailleur hanger. Super record Campagnolo groupset, Campagnolo Shamal Ultra wheels, fi’zi:k Aliante saddle, Look Blade pedals, Deda Elementi Super Light / 0100 handlebar, Vittoria Open CX tires, Falz fork (by Pegoretti). The company, “The one man dance party” is founded by Todd Ingermanson. It is located in Santa Cruz County, California, United States. 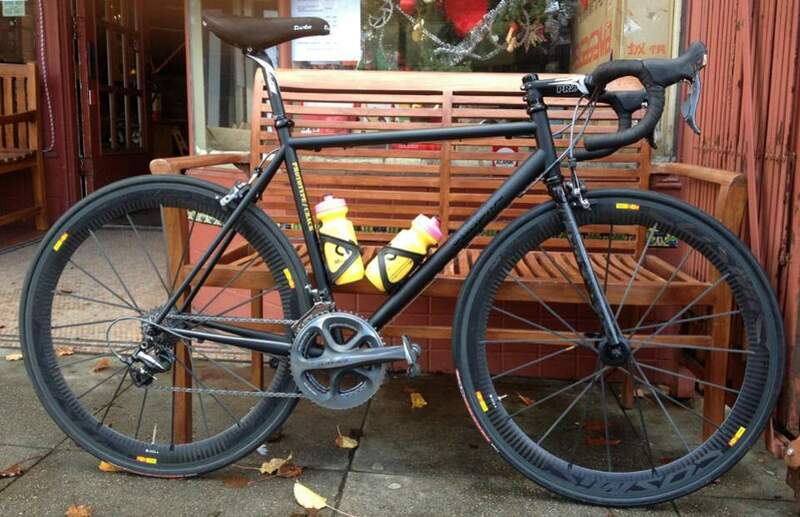 Ingermanson builds handmade Road bikes, mtb, cyclo-x and touring bicycles. Black Cat Grey Road Racer. Founded by James Bleakley in 1999, Black Sheep bikes is located in Fort Collins, Colorado, United States. 2008 was the first year the Black Sheep bikes attended the North American Handbuilt Bicycle Show (NAHBS) and was rewarded with the honor of “Best Titanium Bicycle”. Every bike is still custom, and built for an Individual, not in standard, or stock sizing. Founded by Pierre Chastain, Blaze Bicycles is a one man workshop producing one bike at a time, which allows him to make you a highly personal bicycle and maintain the highest quality standards. 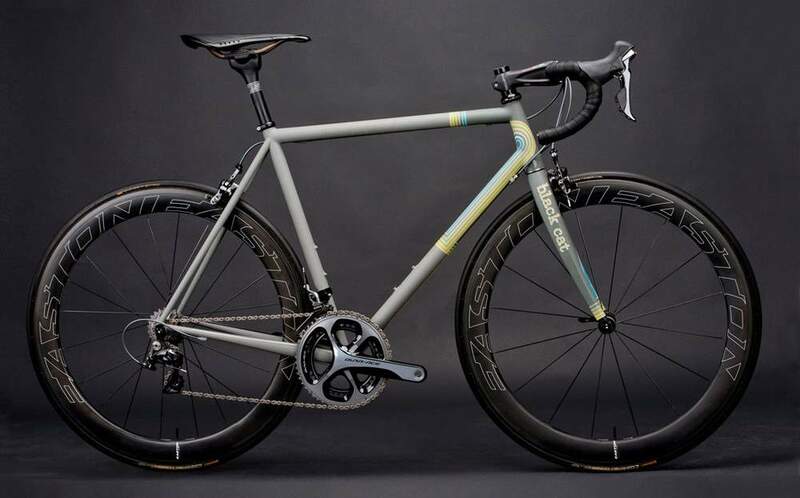 Chastain builds handcrafted titanium and steel bicycles. The company is located in Moab, Utah, United States. 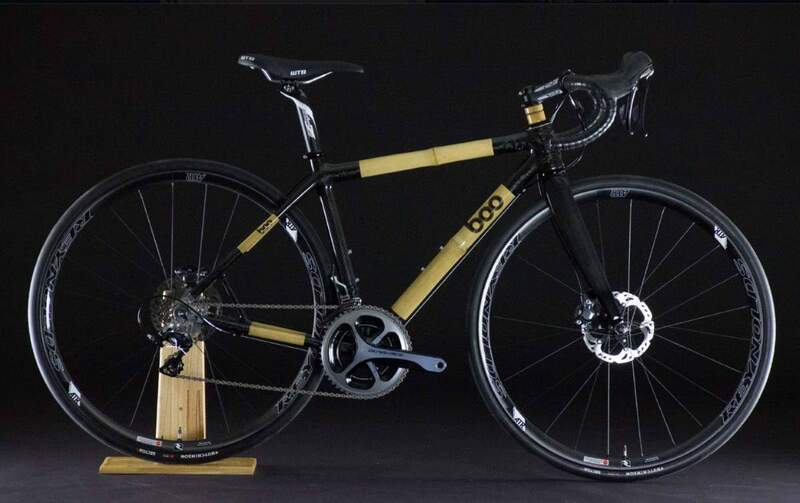 Boo bicycles build handcraft bicycle frames using bamboo. They produce almost any kind of bicycle frames, from road bikes to fat bikes. The company is located in Fort Collins, Colorado, United States. 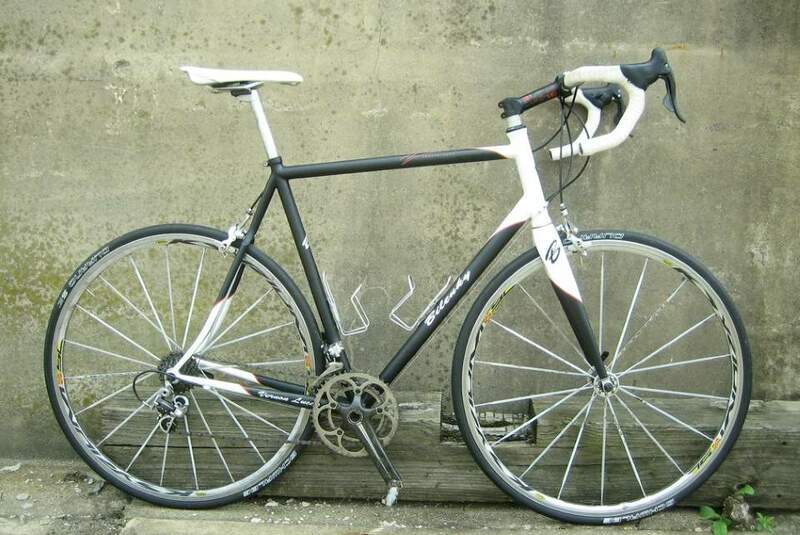 The SL-R is top-of-the-line road frame of Boo Bicycles. Bamboo soaks up vibration much better than other frame materials, meaning you can stay in the saddle longer and more comfortably on the SL-R. The bumps, noise, and chatter of the road surface are quieted by the vibration-damping abilities of the bamboo. The SL-R sports 12x142mm QR thru-axle carbon dropouts for a stiff rear end and near-effortless removal of the rear wheel. A generous 28mm of tire clearance allows for wider road meats should the need, or desire, arise. Breadwinner Cycles was Founded on January 15, 2013, by Tony Pereira and Ira Ryan. It is located in Portland, Oregon, United States. 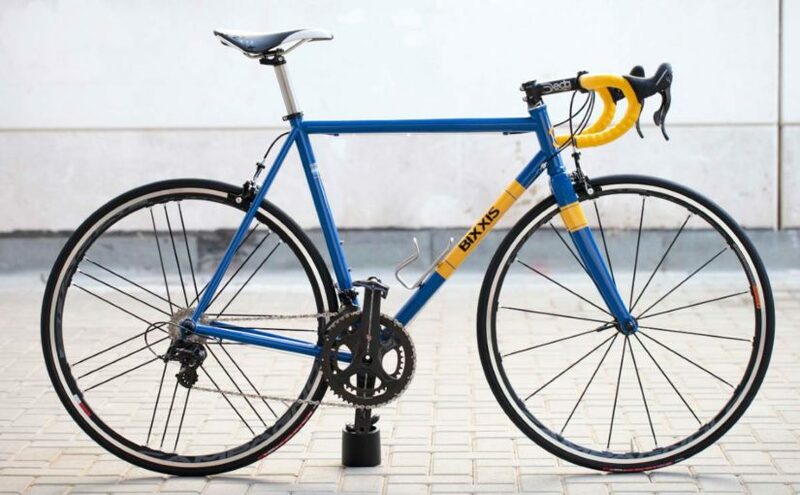 Based in Oakland, California, United States, Broakland Bikes founded in 2006. The company build road and track frames. Broakland CRITFighter: Broakland S.Y.S. “true track” geometry, Available in 3 different tube-sets (Reynolds 858, Broakland Triple Blend or S3 Blend / Full S3), 1 1/8 head tube, Wound-Up 1 1/8 carbon fork, compact frame design, Paragon stainless dropouts (7000 series replaceable hanger). Located in Petaluma, California, United States, the brand was founded by Bruce Gordon in 1974. He build many types of bicycles (road, track, touring, cyclo-x, etc). 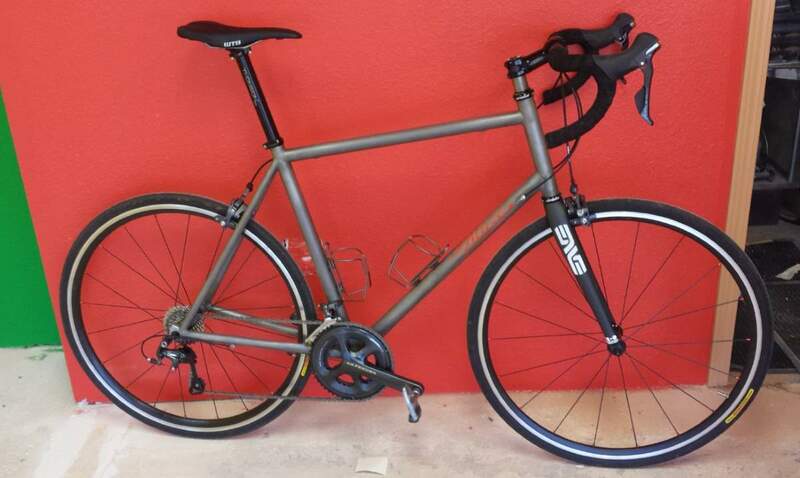 Bruce Gordon Monster Cross: chromoly steel frame, Shimano Ultegra groupset with bar-end or STI shifters, 45mm tire clearance.